The Zonda 6:48 laptime was driven with a race car(stripped out interior, big roll cage) not a street legal car and they used RACE SLICKS (Pirelli P Zero Slick 265/645-19TL front and 325/705-20TL rear).... we only allow street legal PRODUCTION cars..
@ Golf, we dont allow Race Cars on this site, thereofre the 6:47 time will no be added, didnt you know that already? I loved this car to bits, still do, but lost a fair bit of respect when reading EVO 55. They took a ZOnda S and some other quick cars on an autobahn and it just wouldnt reach 200 MPH. The driver was Andy Wallace, who piloted the Mac F1 to 240.1 MPH, so you cant blame the driver, the Zonda just wouldnt do the biz. The RUF R Turbo however made an easy 200 MPH up a slight incline. As usual, it seems that german horses are a bit larger than ther italian variety!! The new one will will have a 6.0 V12 AMG mercedes engine used in the S65 AMG, Sl65 AMG and Cl65 AMG. 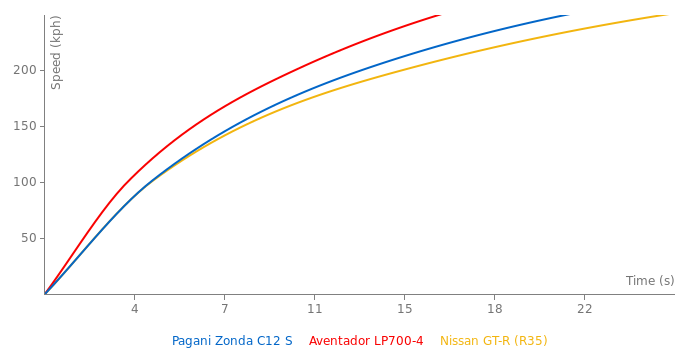 It will have 690 BHP and 1000 NM. There's a pic of the engine. I wonder if 7.3 is the max. Sure. There were several Brabus cars with this engine bored out to 7.3 before Zonda. 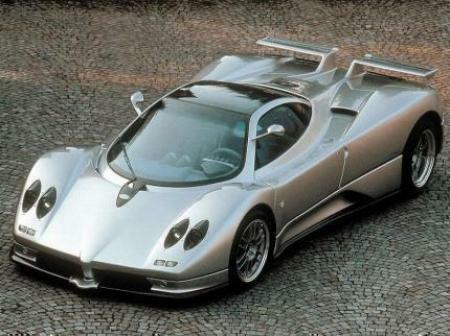 The very first Zonda had a 6.0 with around 400PS, they must have bored it out. A real beauty, a proper supercar engine. 7.3 V12, I just love saying it. The other is the modelyear 2000 version with 7.0l engine this is the 2002 with 7.3l engine and ~200 lbs. lower weight. Why this car is added two times??! !